and solid maple with an earth-friendly UV finish. 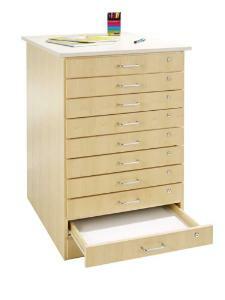 The dovetailed drawers (221/2"W x 28"D x 3"H) lock providing secure storage for each user. The unit is topped off with an 3/4"almond colored plastic laminate top. 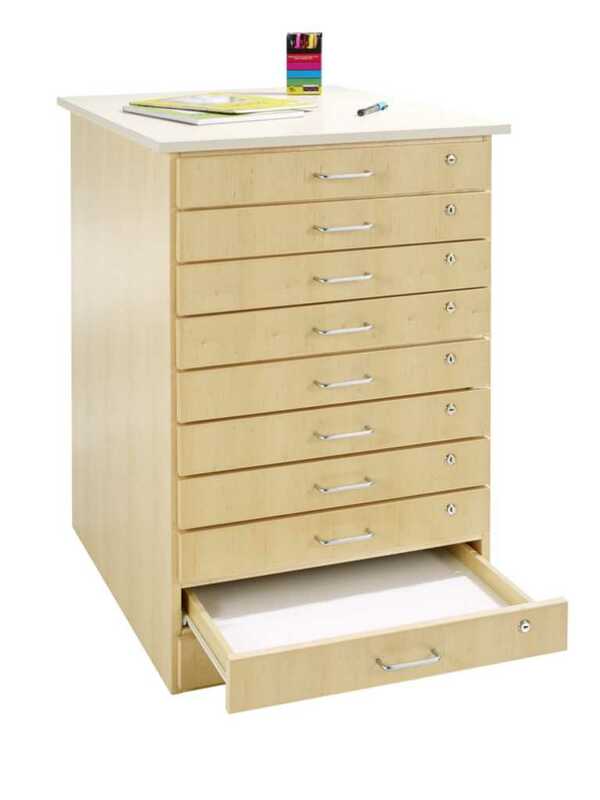 An optional locking caster set can be ordered to make this taboret mobile.